You might be familiar with amino acids if you know anything about exercise and how the body repairs and builds muscle. Amino acids are the building blocks of human proteins, and protein is what the body uses to build and repair all sorts of human tissue. With that said, it now appears as though using amino acids might be an effective rapid addiction detox strategy for some drug or alcohol addicts. The idea for amino acid detox got its start with an American doctor who was investigating how amino acids could be used to provide neurotransmitter balance in the brains of those suffering from certain mental disorders. The body uses amino acids for a number of different purposes, including acting as neurotransmitters. It turns out that drug and alcohol addiction results in neurotransmitter imbalance – an imbalance that can be helped in some people with amino acids. Addiction Helper is familiar with this therapy and its use for rapid drug and alcohol detox. Although this treatment is not for everyone, it is appropriate in some cases. We work with a number of clinics offering amino acid detox in and around the UK. As previously stated, alcohol and drug use can alter the delicate balance among neurotransmitters in the brain. 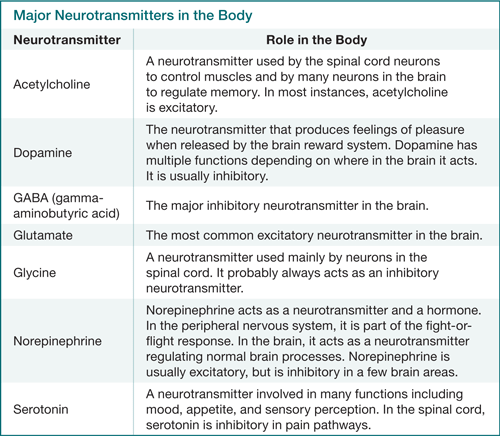 Neurotransmitters are those chemicals that carry electrical impulses throughout the brain, and to and from the central nervous system. It turns out that most neurotransmitters are also amino acids that exist separate from proteins. As the neurotransmitters go, so does normal behaviour and thinking. For example, a deficiency of serotonin can result in symptoms such as irritability, obsessive/compulsive behaviour, low self-esteem, and difficulty sleeping. These are all systems also associated with cannabis and some opiates. An imbalance in amino acids is believed by some to be one of the factors contributing to substance abuse and eventual addiction. Other times, the imbalance is a result of drug or alcohol use. In such cases, greater volumes of alcohol or drugs gradually result in a greater imbalance in neurotransmitters. The body then requires more drugs or alcohol in order for the addict to achieve the same pleasurable effect. This is a condition known as tolerance. During detox, the recovering addict experiences intense cravings and a handful of other side effects as a result of the neurotransmitter imbalance. Moreover, in some cases, that imbalance remains even after detox has long been completed. Amino acids may help some recovering addicts by restoring the neurotransmitter balance almost immediately. The result is a more rapid alcohol or drug detox with fewer short and long-term side effects. An amino acid detox treats recovering addict with a continuous intravenous supply of amino acids and other essential vitamins and minerals during the process. It is a method of detox that has shown long-term success rates of about 80% in the US and the UK. It has been used for both alcohol and opiate detox successfully. When the recovering addict undergoes amino acid detox, he or she is hooked intravenously to a constant stream of amino acids, vitamins, and minerals. The patient is not usually given other medications to reduce withdrawal symptoms as these medications interfere with the work being done by the amino acids. For amino acid detox to be most effective, the body needs to be able to self-adjust to the loss of drugs or alcohol and the restored amino acids. 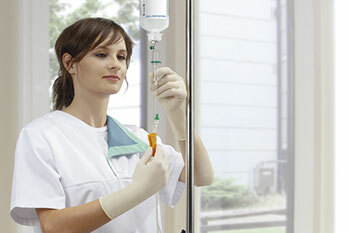 As withdrawal begins, the intravenous solution is sent through the veins and directly to the brain. Feeding the brain directly stimulates it to rebalance itself as withdrawal occurs. With the right mixture of amino acids, vitamins and minerals, the body is encouraged to do what it was made to do naturally. It is important to note that amino acid detox does not reduce withdrawal symptoms as well as medicated detox, but it is certainly easier than going cold turkey. It’s also remarkably quicker in most cases. Those who consider themselves strong proponents believe that the rapid nature of the treatment makes the discomfort of withdrawal symptoms worthwhile. Having said that, no form of detox should ever be attempted without the advice and supervision of a medical professional. Especially amino acid rapid detox. Everyone reacts differently, so there is no way to know for sure whether detox will result in medical emergency or not. This is one of the reasons we recommend undergoing detox at a residential rehab clinic staffed by experts. Two things about amino acid detox are attractive to many addicts. The first is speed. Where medicated detox for something such as benzodiazepines or opiates could take weeks or months, amino acid detox is a ‘rapid fire’ method that can lead to complete recovery within 5 to 7 days. This makes it extremely attractive for people who need to be done quickly so they can get back to work. It should be noted that while amino acid detox has a very high success rate, it is most effective when it is combined with additional rehab therapies that address the mental and emotional aspects of addiction. Keep in mind that detox only deals with the physical side of substance abuse or addiction. However, addiction is more than just physical dependence; it is also psychological and emotional dependence. Dealing with the psychological and emotional aspects is the domain of psychotherapeutic treatment. In some cases, such treatment could be undertaken by way of outpatient therapies that include one-on-one counselling and group support work. In other cases, it could mean a residential rehab programme lasting between 4 and 12 weeks. These extra rehab services are really a good idea even if a medical assessment determines they are not necessary for your circumstances. Why? Because the mental and emotional sides of addiction are often more difficult to conquer than the physical dependence to drugs or alcohol. In addition, while rebalancing neurotransmitters in the brain can reduce the emotional and mental dependencies, they do not always eliminate them. Rehab therapies directly address those mental and emotional issues by encouraging the addict to own his or her addiction. It brings the addict face-to-face with what addiction is, what caused it in his or her case, what triggers addictive behaviour, and what can be done in the future to avoid relapse. It provides the pieces of the puzzle left missing by amino acid detox. We certainly do not want to diminish the idea of rapid detox through amino acid treatment by also talking about psychotherapeutic rehab. The individual choosing to go through detox may only benefit from the amino acid approach as opposed to a more traditional medically supervised detox. Moreover, anyone who can fully recover in this way is better off for not having to spend the time and money to go through extended psychotherapeutic treatment. Nevertheless, sometimes, detox alone is not enough. The benefit of combining amino acid alcohol or drug detox with psychotherapeutic treatment is one of time. The best way to understand it is to think of it in terms of preheating an oven. Certain types of cooking require an oven to be preheated before food is placed inside. Failing to preheat will affect the outcome. Therefore, cooks have to build preheating time into their cooking plans. If it takes 20 minutes for an oven to reach the desired temperature, the cook has to wait or do prep work in the meantime. Developing an oven that would preheat in half the time would be a good benefit to the cook. The physical withdrawal from drugs or alcohol involved with the detox process is like preheating an oven. Detox forces the body to function without drugs or alcohol, thereby forcing the brain to resume its normal activities. What amino acid detox does is facilitate the brain to resume normal functioning more quickly than it would without the additional amino acids, vitamins, and minerals. Where traditional detox may break the physical addiction to drugs or alcohol, it still may take the body weeks, or even months, to restore the natural balance of amino acids. This often results in the individual being put on prescription medications to account for the remaining imbalance, prolonging the process even more. Amino acid alcohol or opiate detox can have the brain functioning normally again in 5 to 7 days. When the brain is functioning as it should, psychotherapeutic treatment is much more effective. In addition to being fast and effective, another advantage of amino acid detox is its cost. The fact that the programme is so short means that it is a fraction of the cost of a standard 12-week residential programme. However, even with a lower cost, amino acid treatment is highly successful. This is certainly an option worth considering if you want residential treatment but cannot afford it. The combination of amino acid detox and a good aftercare programme could help you achieve total victory at a very affordable price. You might even find your private health insurance covers the cost of this therapy. Unfortunately, it is not possible for us to give you a price estimate at this time. The therapy is still relatively new in the UK, and clinics that use it have different pricing structures. There will also be price differences based on whether or not detox is combined with a residential psychotherapy treatment. The best we can do is invite you to contact us for more information about treatment programmes. We can work with you to set up a treatment programme appropriate to your budget. Please also understand that whether or not amino acid detox is right for you depends on your current circumstances. As good as this therapy is, it does not work for everyone. You may have some underlying condition or a peculiar addiction scenario requiring another kind of treatment. We urge you to speak with one of the addiction recovery counsellors at Addiction Helper before making a decision. Our counsellors are more than qualified to assess your circumstances before advising on an appropriate course of action. Addiction Helper believes that every addict is different and that no single treatment is right for everyone. That’s why we believe wholeheartedly in bespoke treatment plans. What is a bespoke treatment plan? It is the plan developed by professionals only after a thorough assessment have been performed. The clinicians responsible for developing the plan will take advantage of whatever therapies are available and most likely to help individual attain long-term sobriety. Every client who calls us receives our full attention in assessing circumstances, recommending solutions, and developing a specialised treatment plan for that unique individual. Best of all, our services are confidential and free. After we help you arrange entrance into a treatment programme, you will undergo a second evaluation by the trained professionals at the recovery centre. They will fine-tune a bespoke treatment plan based on what you need. We invite you to call us if you have a problem with drugs or alcohol. We can help determine whether you are indeed addicted and, if so, whether or not amino acid detox is right for you. If not, we will be able to point you to a more appropriate therapy. We work with private clinics, drug and alcohol charities, support groups, counselling services and the NHS. Now is the time to deal with your substance abuse or addiction problem. You are thinking about it after reading this information, so it is best to make a decision while it’s fresh in your mind. The best decision is one of calling our 24-hour helpline and speaking with one of our trained addiction specialists. We urge you not to delay or put it off another day. Every day you wait is another day lost to drugs or alcohol. Never forget that those lost days are days you cannot get back. Why not work with us so we can determine whether amino acid rapid detox is right for you or not? A call to Addiction Helper could be the best phone call you have ever made.